The unique SMARTbooth is launched. A free-standing "Plug & Go" Spray Booth that controls hazardous substances without the need for external ducting. 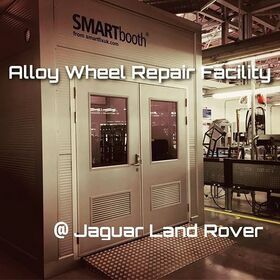 Forming part of our alloy wheel repair system, the SMARTbooth is also used by other industries including the NHS, JLR, F1 teams and industrial component manufacturers. The first of our SMARTbox units is built. A fully equipped alloy wheel repair workshop housed in a lightweight custom built box that can be floor or vehicle mounted. 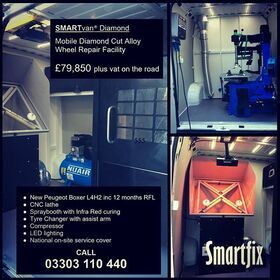 With the release of the first ever mobile CNC lathe, we launch the SMARTbox Diamond. Our first mobile wheel repair facility specifically for repairing diamond cut alloy wheels. 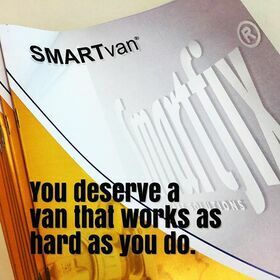 The SMARTvan is launched. 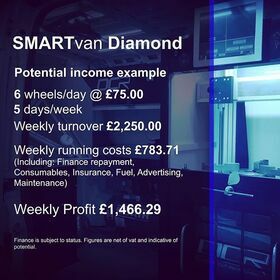 Taking the design features from our SMARTbox and incorporating them into our best ever alloy wheel repair van installation. 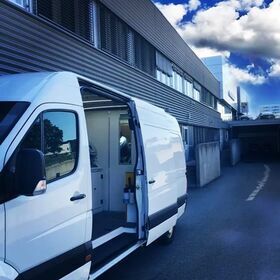 We build the first wheel repair facility with a CNC lathe into a standard panel van. 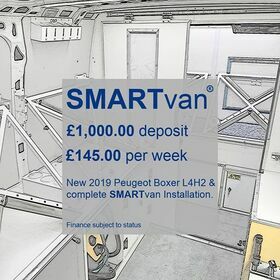 Built into a left hand drive Peugeot Boxer for a customer in France, this build provides the concept for our SMARTvan Diamond.